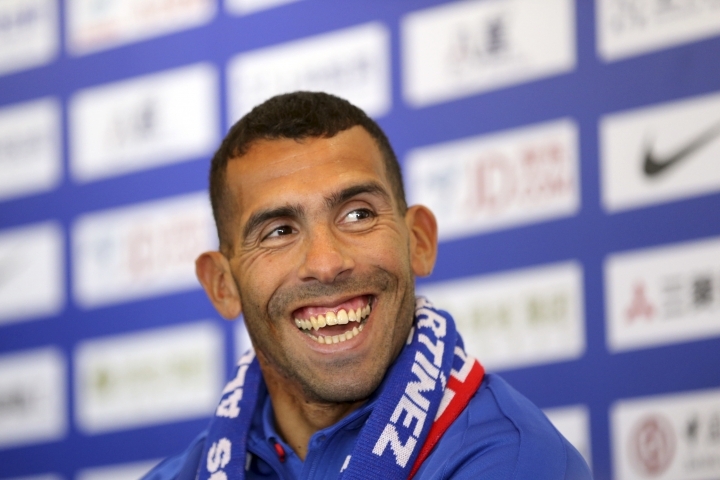 SHANGHAI — Argentine striker Carlos Tevez said Saturday he's settling in with Chinese Super League squad Shanghai Shenhua as training gets underway ahead of the season opening in March. Tevez last month became the latest in a procession of star players to make the move to China after Shenhua paid a reported $11 million transfer fee to Argentine club Boca Juniors. Meeting with reporters on Saturday, Tevez declined to offer financial details, but a person familiar with the negotiations said he is being paid $40 million over two years. He said he'd been moved by the sincerity of Zhou Jun, the club's deputy general manager, who met with Tevez in Argentina to discuss arrangements. That feeling was reinforced by the warm reception he received from fans upon arriving in Shanghai on Friday, the 32-year-old said. "I have a new home," he said. 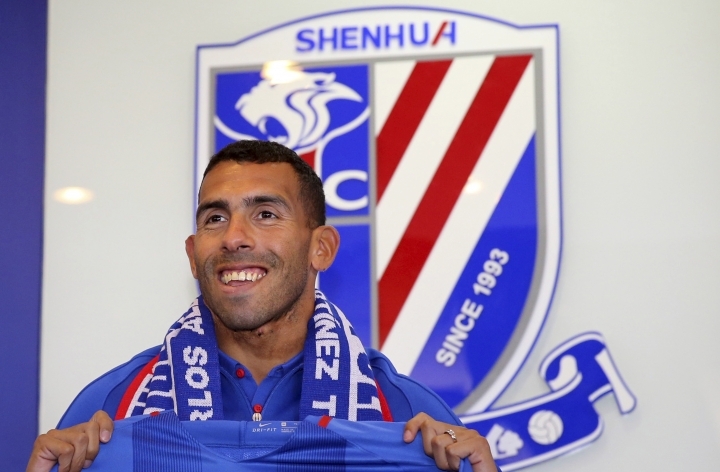 Tevez said he shared a "similar football philosophy" with Shenhua coach Gus Poyet, the former Sunderland and Real Betis manager who joined the club in November. The striker has appeared in two World Cups for Argentina and previously played for Manchester United, Manchester City and West Ham United in the English Premier League, as well as Italy's Juventus. Tevez moved last year to Boca Juniors, the club where he began his senior career, after helping Juventus win its fourth consecutive Serie A title. But he was quoted in the Argentine press this year saying that he was unhappy and even contemplating retirement. Chinese clubs, which broke the Asian transfer record several times in 2016, have been busy reinforcing their rosters ahead of the start of the next season in March. In a bid to rein in spending and develop homegrown talent, the Chinese soccer association recently demanded that clubs allocate at least 15 percent of yearly spending toward youth training. It also suggested it would impose a salary cap and perform financial audits of clubs.